But as much as I trust Abrams’ opinion — especially as a Lost superfan — I’m even more interested in hearing what Scouts said about the book. I first told you about Explorer Academy, National Geographic’s new fiction series for middle graders, in a blog post in May. 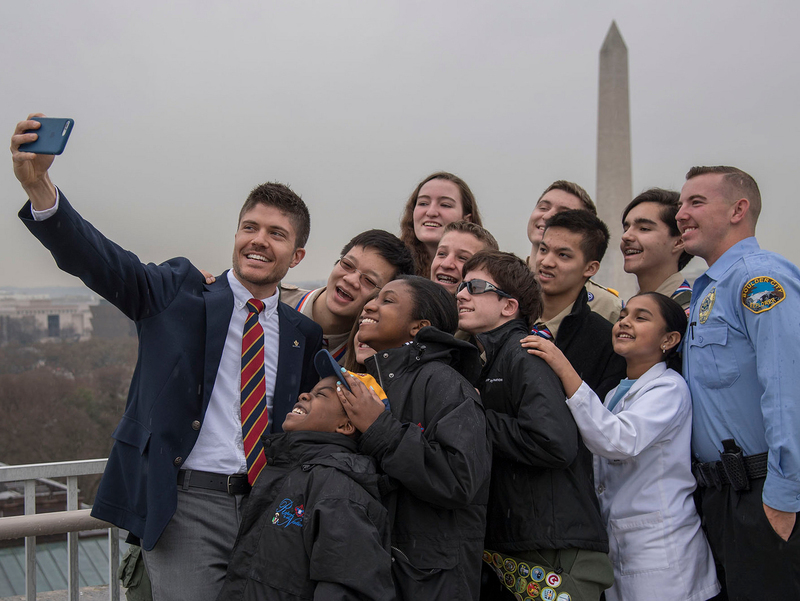 Nat Geo sent out a call for Explorer Academy ambassadors, and the first 100 who responded were invited to read and review an advance copy of the first book in the series, The Nebula Secret. The response was so overwhelming — more than 1,500 entries in all — that Nat Geo doubled the number of ambassadors to 200 lucky Scouts. Those reviews have been pouring in, and I wanted to share a few of my favorites below. Bottom line: This series is perfect for thrill-seeking Scouts who enjoy exploring and learning about the world around them. It’s inspired by the adventures of real-life National Geographic explorers. To enhance the story’s educational value, each book includes a section called “The Truth Behind the Fiction,” which explains the science concepts and profiles of real explorers doing work relevant to each book’s theme. Read more reviews here and buy your copy of The Nebula Secret on Amazon. If your Scouts missed the excerpt in the August issue of Boys’ Life, you can read the first chapter for free at this link. Or watch the book trailer by visiting exploreracademy.com. Join the adventure in person! Sept. 21, 2018: Greenwich, Conn.
Sept. 24, 2018: Naperville, Ill.
Sept. 26, 2018: Decatur, Ga.
Sept. 27, 2018: Thousand Oaks, Calif.
Sept. 28, 2018: Newport Beach, Calif.
Oct. 13, 2018: Mill Creek, Wash.